Visiting San Esteban is supposed to be a vacation for Frank and Joe Hardy and their friends, but it doesn't take long for them to realize that the island is no paradise. Some of the local inhabitants aren't very friendly to tourists, and the island itself is crawling with dangerous wild animals -- some of which take up residence in the Hardys' bungalow. As if this isn't enough to worry about, someone starts dogging the Hardys every step of the way. Is this person responsible for most of the "bad luck" they've had? Not even the worst villain, though, could arrange the typhoon that turns all of San Esteban into a death trap. 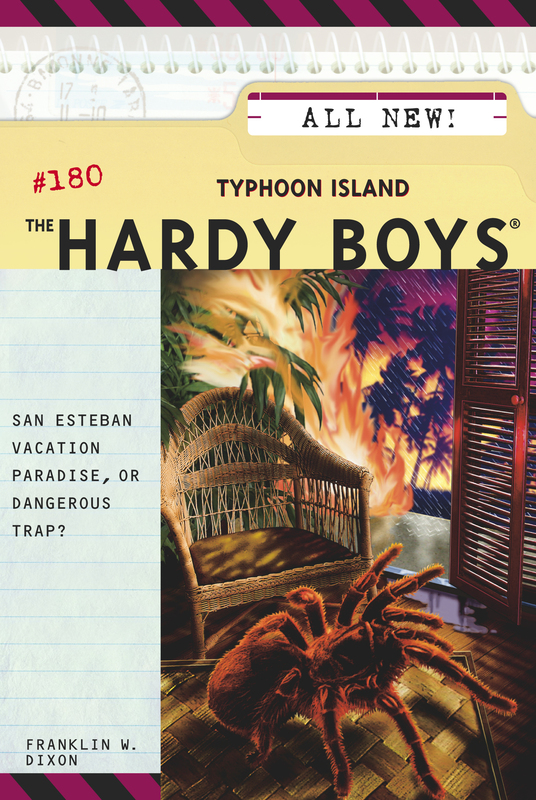 Can the Hardys solve the mystery of Typhoon Island before they're wiped off the map?